of 3D modeling and conversion services. 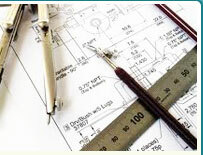 Drafting Design is a division of Design Presentation Associates, Inc. The Design Presentation Associates CAD Council is a global network of architects, engineers, and other professionals in the CAD industry. Council Members have experience in design and engineering operating companies, or in independent consulting roles. Council Members' business experience within various markets and sectors of the CAD industry enables them to provide educational consulting to leaders in the engineering and construction industries. Exposure to a marketplace for CAD, design and engineering consulting requests. Seamless contracting and payment processing. Opportunities to educate business and government leaders. Networking and educational events with other experts in the DPA Councils. Learn about the different council types. Learn about the different skills types. Please Select Dr. Mr. Mrs. Ms. Your primary email address can also be used for logging into your account. Your Password must include at least one upper-case letter, one number, and must be at least 6 characters long. Note: Please write your biography in this space. if you do not add a biography here, Design Presentation Associates will be unable to recommended you for future consulting projects. John Smith is currently an independent CAD consultant, a role he has performed since 2005. Mr. Smith was previously the head of design at Standard Widgets, a leading widget design company based in the United States, from 2001 to 2005. Mr. Smith oversaw all design activities for the company and managed a team of 2D and 3D designers (focusing on Revit, BIM, SolidWorks, AutoCAD and MicroStation). His innovation in widget design resulted in over $500 million in annual revenue for Standard Widgets. Mr. Smith started his career as a CAD Draftsman at Acme Architects Inc. from 1980 to 2001. He was responsible for implementing the use of CAD tools in the company. Mr. Smith also worked directly with the company's customers, including architects and engineers. He received a BA in Environmental Design from New York University and is a member of the International Widget Design Society. Please detail your most recent two years of your employment history. and trademarks owned by Design Presentation Associates, Inc, 301 N. Harrison Street, #414, Princeton, NJ 08540. Unauthorised use not permitted.